Clare Celeste Börsch’s show The Mushroom Hunters is based on the poem by Neil Gaiman and is described by the artist as a “large-scale, floor to ceiling, immersive three-dimensional collage” which took six weeks to complete. 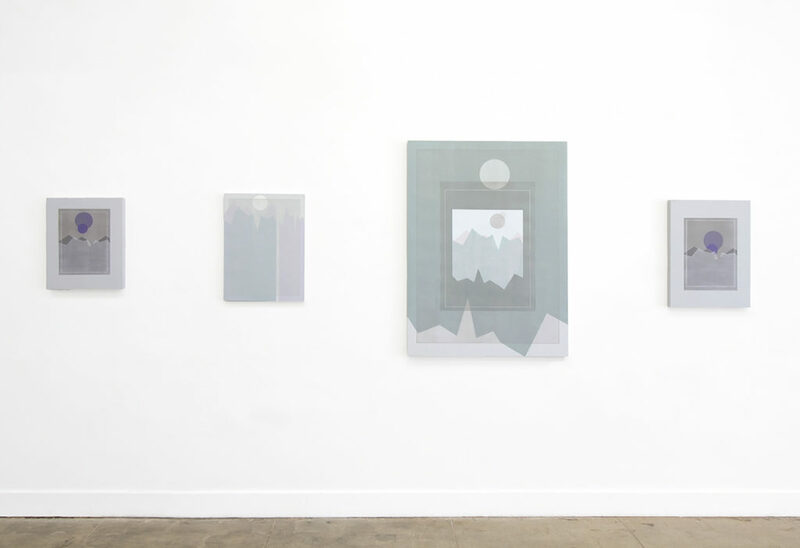 Claire Colette is an LA-based artist whose show Mountains, Times, and Other Devices is currently running at Ochi Projects. This last pairing is from the show Binder of Women at Guerrero Gallery. Photos courtesy of the artist, Ochi Projects and Guerrero Gallery. Pace Taylor is an artist in Portland, Oregon. Jenny McGee Dougherty is an artist, curator and arts organizer based in Portland, Maine. Her work can be found on the online gallery Tappan Collective. Seonna Hong is an artist based in LA who has a solo show called Things Will Get Better at Hashimoto Contemporary. Her work is also featured in The Jealous Curator aka Danielle Krysa’s new book: A Big Important Art Book – Now With Women. Sanya Kantarovsky is a Russian-born, New York- based artist who recently showed at the Baltic Triennial 13 in Livnius. I am super impressed with this relatively young artist’s work.